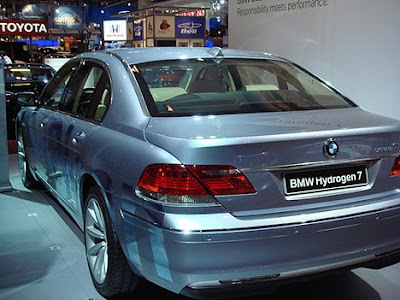 One of the problems with developing a commercially workable system of using hydrogen as a transportation fuel is the fact that tanks that safely and securely store the hydrogen are generally so heavy as to be cumbersome in the vehicle. Well, Robin Gremaud, a Dutch-sponsored researcher, has found that an alloy of magnesium, titanium and nickel solves this problem by readily absorbing the hydrogen. A tank built of this material could also be up to 60% lighter than the amount of batteries required to power a car for a similar distance traveled.